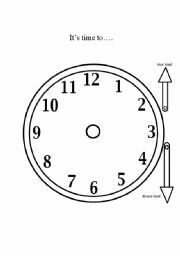 Use the hour hand and minute hand,and say for ex> It´s time to bed...It is 10 a clock!Than move the hands. 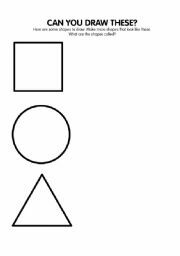 NAME AND WRITE IN THE CIRCLE THE BODY PARTS! 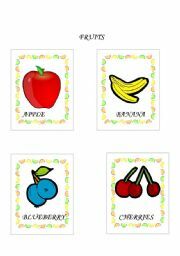 It´s the second part of this game.have a nice daY! 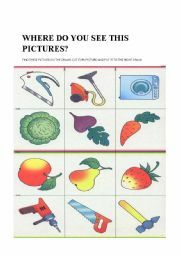 Match the left column with the right one! 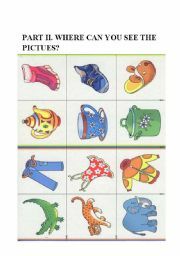 Look at the pictures,then write down the opposites! 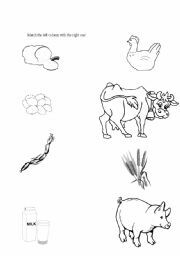 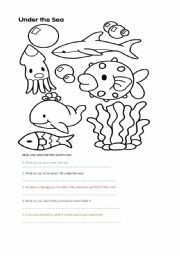 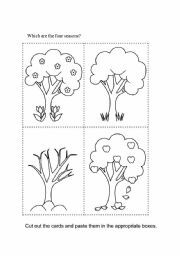 Sorry for mistakes.If you have as a lessen Under the sea, you can use this worksheet.Kids can color, and also read and answer the questions.Hope you like.